This year’s nine-day London Design Festival programme is made up of over 280 events and exhibitions – the largest and most significant yet. Showcasing the city’s pivotal role in global design, there are events across design disciplines, from East to West. There is a real buzz in the air this year, with London Fashion Week, the Frieze Art Fair and the London Film Festival running alongside. It is tricky to know where to start! 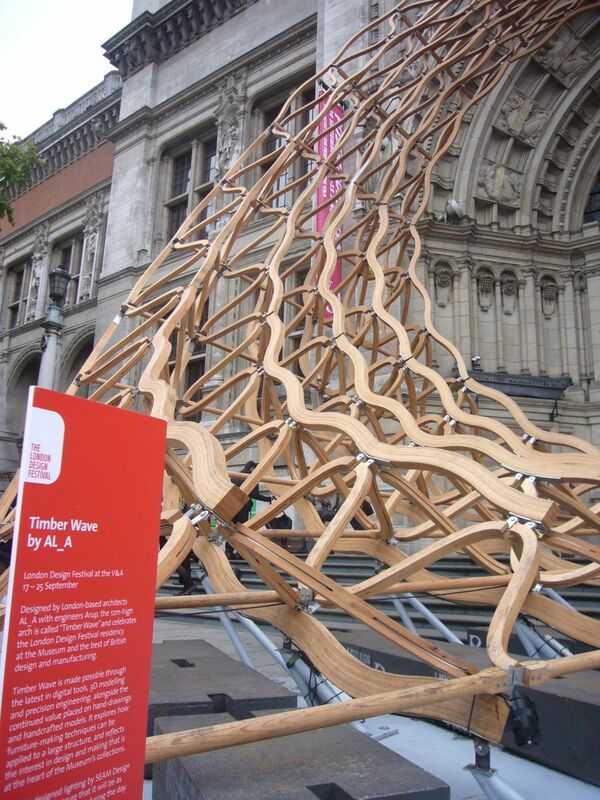 Highlights from yesterday include the 12m Timber Wave designed by Amanda Levete and her team, with Arup. 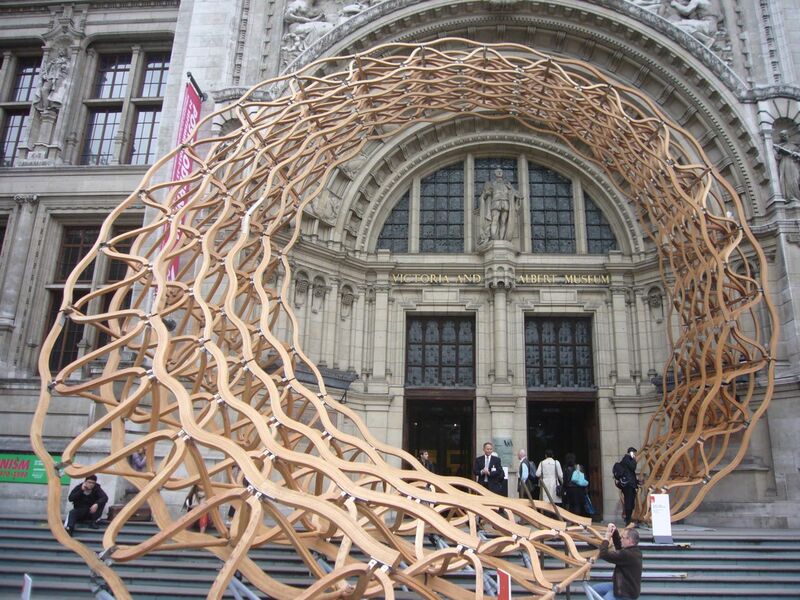 Cascading down the steps of the V&A, this complex form made from America red oak has been made possible through cutting edge digital tools, 3D modelling and precision engineering. 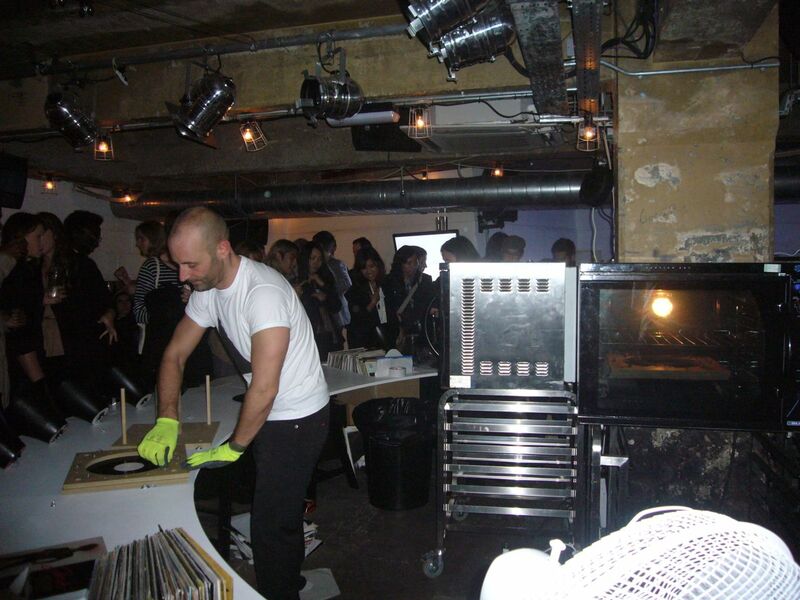 It reflects the interest in design and making that is at the heart of London’s creative industries. 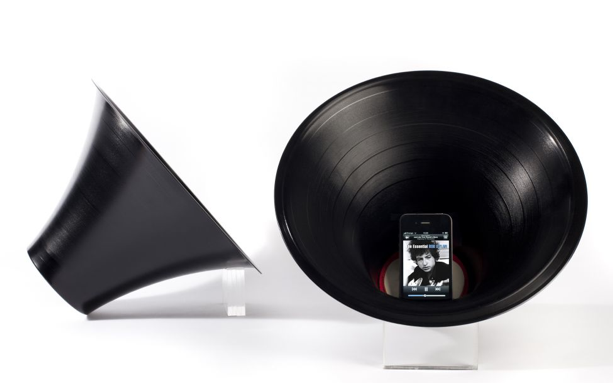 Across town, designer Paul Cocksedge has transformed old vinyl LPs into elegant vinyl speakers that amplify sound from smartphones through their shape alone – no need for wires or electricity. 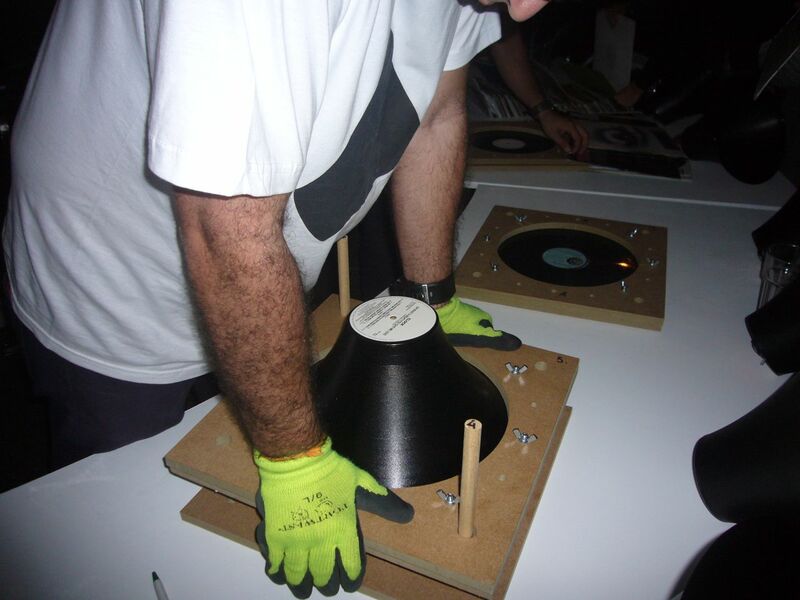 For £25 visitors were encouraged to bring their own 12” record and have it transformed right in front of your eyes. Placed in the oven and stretched into shape. Smart and simple! 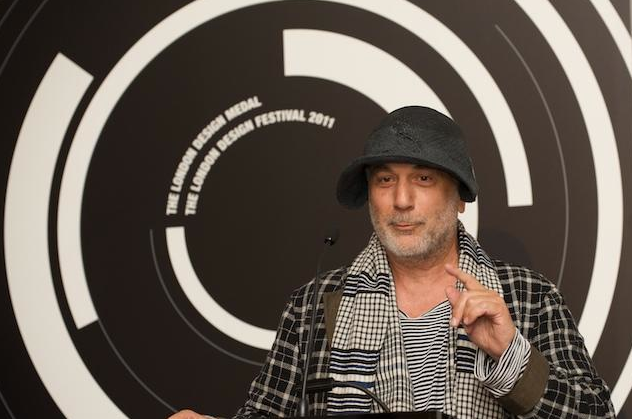 St Paul’s Cathedral provided a spectacular backdrop for the fifth presentation of the London Design Medal, won this year by my old tutor Ron Arad. A worthy recipient, he consistently does unique work and applies creative thinking to all manner of design challenges. 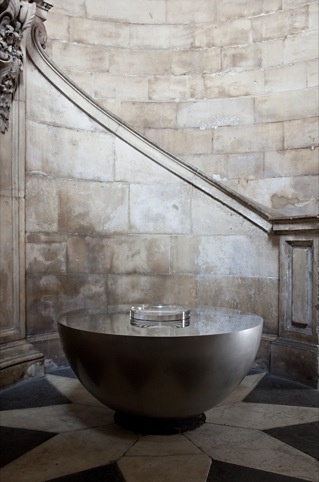 A lot of talk has been made about John Pawson’s installation ‘Perspectives’ at St Paul’s Cathedral. Aside from the joy of being able to take a peek at Wren’s Geometric Staircase – usually hidden from view - in the South West tower, I couldn’t help but feel a little underwhelmed. 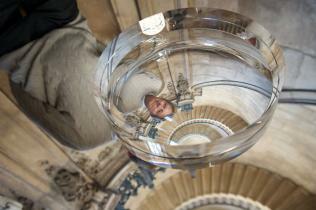 Collaborating with Swarovski, he has created a precision-made meniscus – the largest lens possible to manufacture. 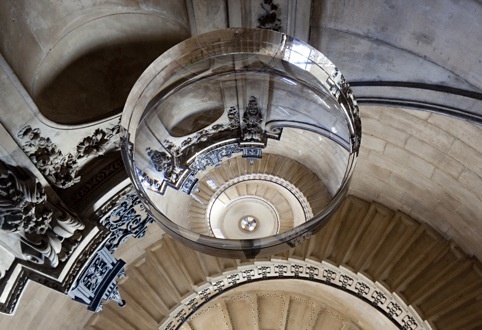 Located at the bottom of the stairwell, it sits on a much larger reflective hemisphere, with a spherical convex mirror suspended in the tower’s cupola above. Together these optical devices create a composite image of the view up through the tower for visitors gathered around the hemisphere at the base, allowing them, as Pawson says, ‘to see beyond the level of the naked eye’. It is supposedly less about the physical piece he has created, and much more about what it reveals. The thing is, you really cannot see a lot! A master of simplicity, it seems that Pawson’s work, this time, was just a little too simple for me. That’s it for today…Keep posted for daily updates! ← Festival With Attitude – My latest article out in DQ.